Be responsible, contemplate the void. The Brood: Won’t Someone Think Of The Children? 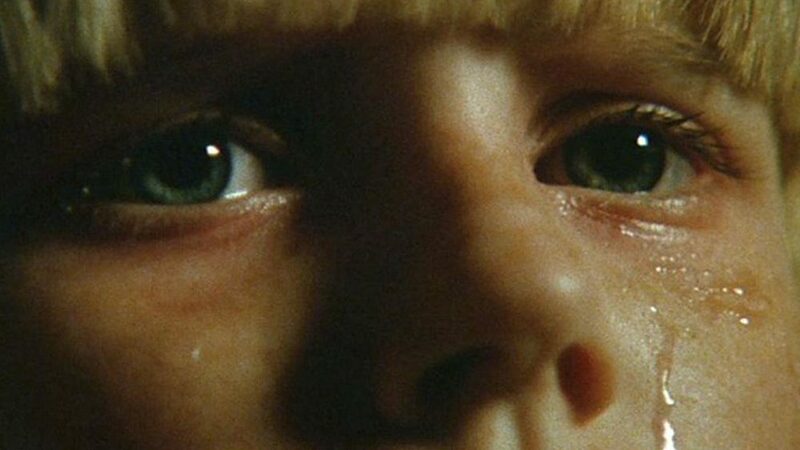 The domestic drama that brews between Frank and Nola Carveth in David Cronenberg’s The Brood has been discussed so frequently, including critic Carrie Rickey’s excellent essay in the new Criterion release of the 1979 film, that it’s easy to overlook another important aspect: Candy, the child at the center of the couple’s marital discord. 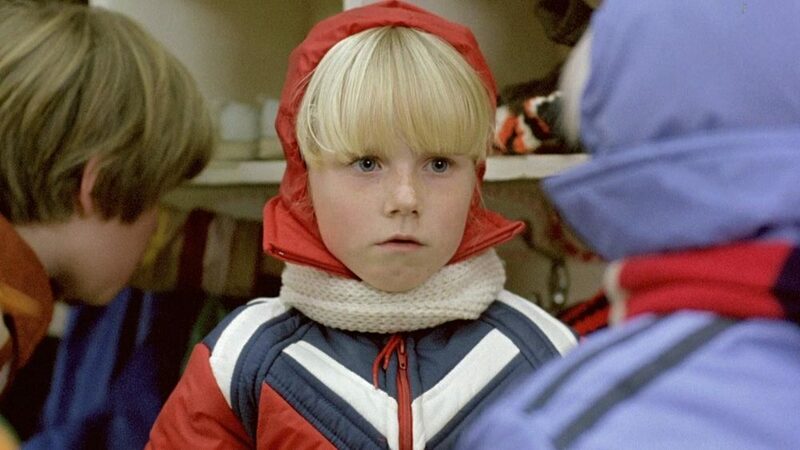 As Candy, Cindy Hinds gives a singular, heartbreaking performance as the world’s most adorable yet devastated child, outshining Heather O’Rourke as Poltergeist’s Carol Anne by light years. Her immense blue eyes see more than she’ll admit verbally, but her sullen, pursed lips give it all away. This is a child in crisis. When she discovers her grandmother Julianna’s murder at the gnarled hands of one of the film’s titular gang of mutant children, Candy doesn’t scream or cry, she just STARES, absorbing all the violence, terror, and confusion into herself. The police psychologist explains to her father Frank that the deep sleep they found Candy in when they arrived at the crime scene signifies an attempt to avoid dealing with what she’s seen; we recognize that as a sign of clinical depression. Yet Frank, already weary of what he construes as another iteration of the psychobabble peddled by Dr. Hal Raglan, seems more annoyed than concerned. There are several scenes in which Frank relinquishes Candy’s care to others, specifically her teacher Ruth Mayer. He’s late picking her up from school twice. On the second of these occasions we witness the only instance of the child smiling in the entire 90 minutes of the film: when she’s playing “mothers and daughters” with Miss Mayer. Later, Frank leaves Candy with her again to deal with his drunken former father-in-law and when he returns, Candy is huddled against the wall crying over a nightmare she’s just had. He assures her that the creature responsible for her grandmother’s death is dead and we finally see her attempts at a tough shell crack a little. Subsequently, the look of dull terror on Candy’s face when she realizes that the creature is not only alive and well, but has somehow duplicated itself, is as sad as it is scary. There are now two mutant children standing in front of her in the classroom and she seems to be the only one who notices their presence. Does she think that see alone can see them, that it might be her imagination that conjured them? Does she wonder if her father lied when he told her the one that killed her grandmother was dead? Does she instinctively know that these are her mother’s other progeny? Oddly, before these malevolent mutants attack and kill Miss Mayer, one of the only adults upon whom Candy can rely, they hustle Candy into another room so she doesn’t see what’s happening. They seem to want to protect her more than her mother or father. The other children are left to gawk as their teacher is left bloodied and crumpled on the floor. Still, when Frank runs into the room, he doesn’t console the crying kids, he just covers up Miss Mayer’s face with a piece of drawing paper, too stunned to know what to do. It is soon revealed that Dr. Raglan has been keeping the brood in a shed behind the Somafree Institute, along with their mother, Frank’s ex-wife Nola, because it is Nola herself who has been spawning these children of rage. After the classroom murder scene, they escape back to Somafree, taking Candy into their fold and dressing her in pastel flannel footy pajamas so she looks like one of them. Which she is, in a way, although she was born of love and not hatred. It’s fitting that these children look like withered, distorted versions of adults and not children at all because it’s the distorted version of love that has created them. Nola screams at Frank that she’d rather kill Candy then let him have her. Candy has become a thing, a prize, something to be won or lost, not a child to be nurtured and comforted. So much of Candy’s reaction to the horrors of the film is blunted. Her fear of a world without her parents, her grandparents, or any sense of normalcy has transformed into resignation. Yet when her mother’s increasing rage sends the brood into attack mode, and they set their sights on Candy, she screams in terror, her first real outpouring of grief and horror. It is only when Frank strangles Nola to death that the brood is stopped, killed by the cessation of Nola’s rage, the only thing that kept them alive in the first place. For me at least, The Brood provides no shortage of bittersweet nostalgia about the late 1970s. I was a child of divorce, and while my experience was far more mundane than Candy’s, it had its traumatic moments. Like Candy, however, I was an anxious, depressed child, plagued with insomnia and nightmares. The fear and anger on her face in the last scene of the film is difficult to watch because I know it all too well.